The big four Japanese manufacturers have always struggled when it comes to entering the retro market. 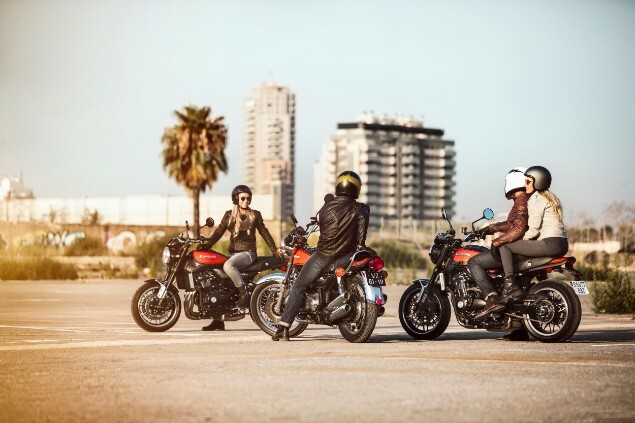 There have been a fair few attempts – the Honda CB1300, Kawasaki W650 and W800, Yamaha XJR1300 and Suzuki GSX1400 spring to mid – but none have really captured the mainstream public’s imagination. 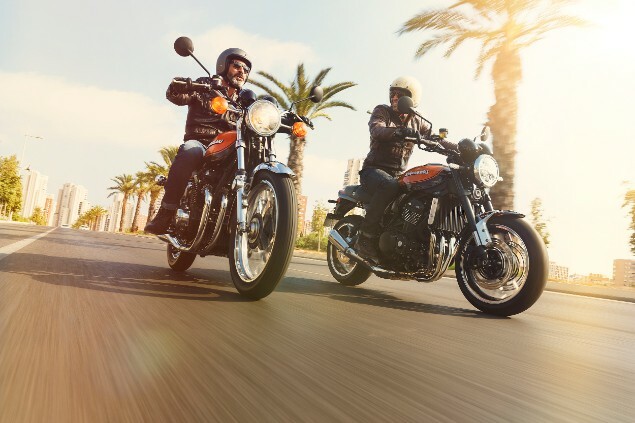 It’s not exactly as if the Japanese are lacking heritage with iconic models such as the Yamaha XS750, Suzuki GS1000, Honda CB750 or Kawasaki Z1 to draw inspiration from, it’s more the fact that buyers don’t buy Japanese retro bikes in big numbers. And in a market where the buying decision is often based on nostalgia, that’s a tough barrier to break down. 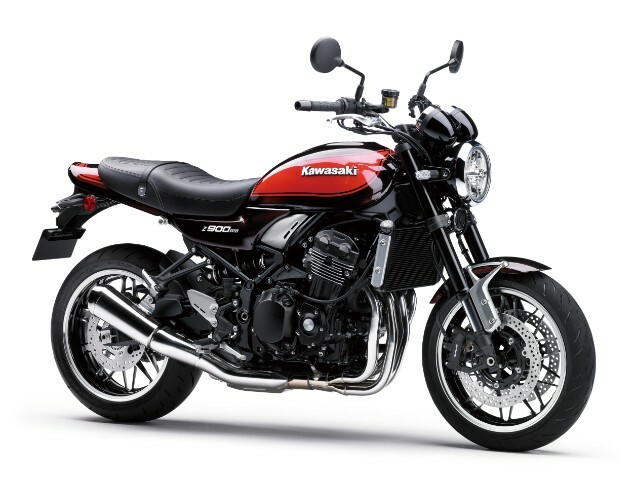 However, this could be the year that one Japanese retro manages to get over this perception as, with the new Z900RS, Kawasaki has made the best Japanese retro to date. And one that should sell not only on its looks, but also its performance. 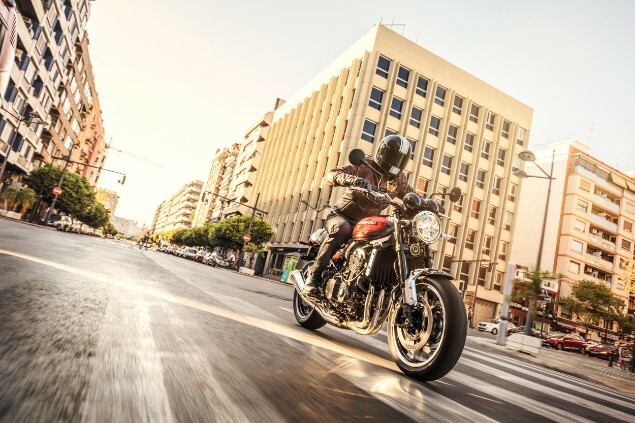 Evoking the spirit of the 1970s and the firm’s legendary Z1, the Z900RS borrows a lot of its technology from the Z900. 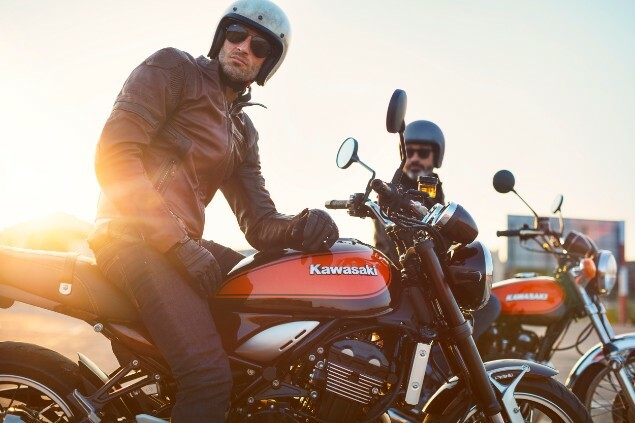 But where the naked bike is thoroughly modern with angular and aggressive lines, Kawasaki have done one of the most beautiful retro styling makeovers to date on the RS to produce a machine that is visually stunning with subtle nods to its heritage that Z1 geeks will love. 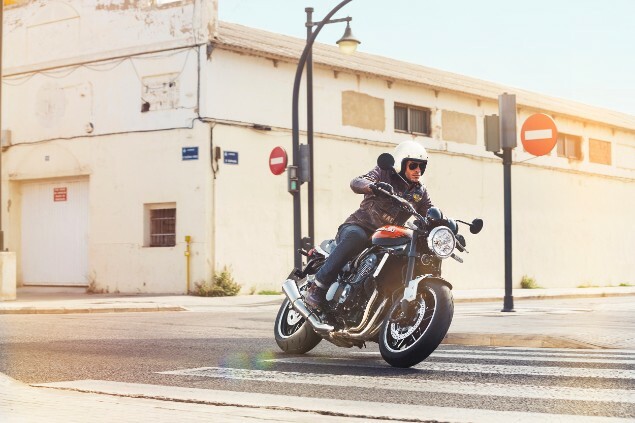 Yet underneath this pretty exterior lies a machine that is every bit a modern bike and it handles and performs as such, meaning riders who demand more than just a good looks in their retro won’t be left feeling short-changed. 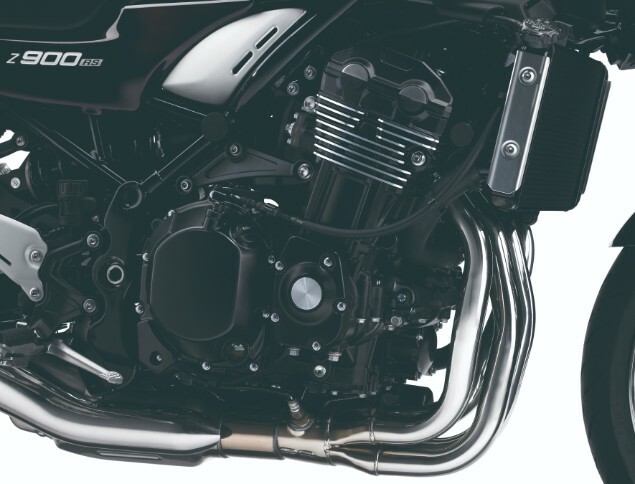 The heart of the RS is the Z900’s water-cooled inline four. Usually in the retro market you find an air-cooled motor (or in the case of Triumph, a water-cooled one that is pretending to be air-cooled) but in the RS, Kawasaki has no qualms in exposing this motor for what it is. Yes, it has gained a few highlights on its fins but rather than create a façade that it’s air-cooled, like the original Z1, Kawasaki have spent their time re-tuning the engine with a heavier flywheel and altered cam profile to give it improved low and mid-range drive. A move that has absolutely paid off. 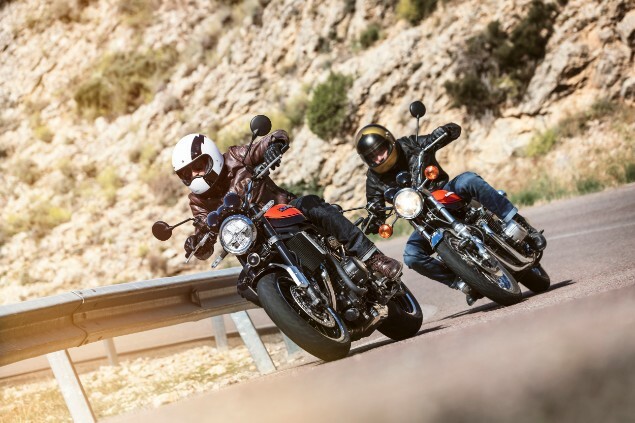 Accelerate hard on the Z900RS and it responds with interest, delivering a burst of drive from pleasingly low in the rev range. It has more than enough acceleration to remain true to the Z1’s performance past but isn’t too fast or intimidating. 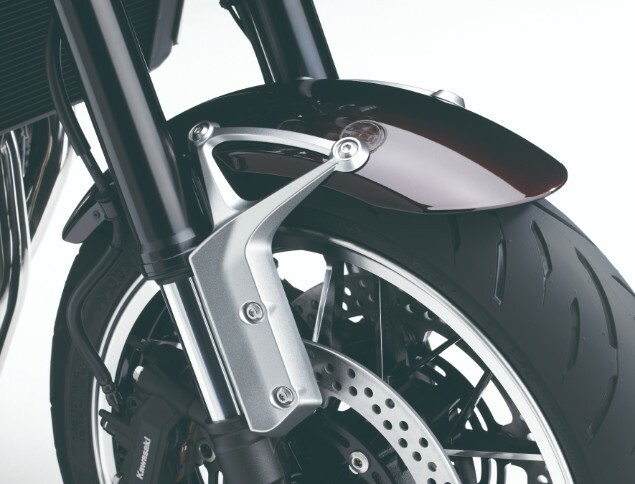 However, the most impressive part is the feeling of complete control the motor gives you, easing the ride and letting you simply enjoy the two-wheeled experience thanks to a super-light clutch, excellent throttle response and slick gearbox. It’s just a delightful motor to use and with such a wide spread of torque you don’t feel the need to continually jump up and down on the gear lever, you can chill out and let the RS’s grunt do the leg work for you. In keeping with the chilled-out engine, Kawasaki has been very clever when it comes to the RS’s chassis. 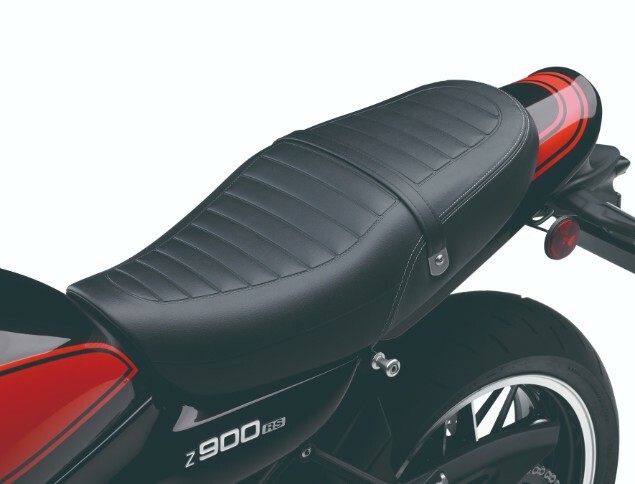 The handlebars are tall and rubber-mounted to reduce vibrations (the pegs also have rubber inserts) and the seat feels like it has about a meter of padding, which not only makes it extremely indulgent, it also makes it feel like an old-school Kawasaki model as older bikes always had huge seats! 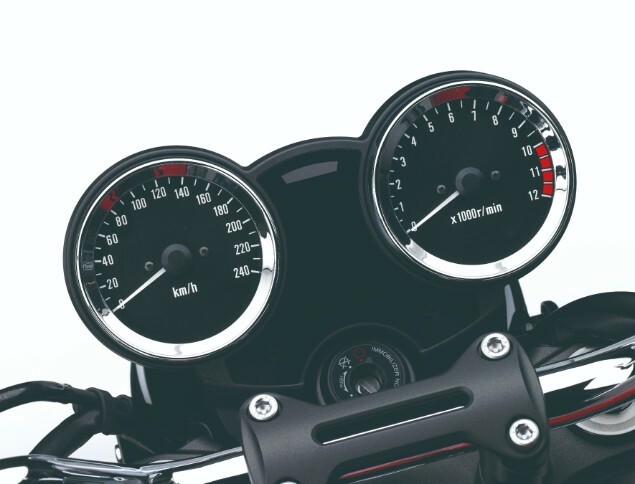 The twin analogue clocks are a nice touch, as is the digital gear indicator and fuel gauge nestled between them, and even the mirrors are vibe-free and deliver a good view of the road behind. But as pleasing as the riding position is, what really makes the RS stand out from the competition is its handing. So often retro bikes have their agility compromised by their need to remain true to their roots however, with the RS, Kawasaki has avoided this trap. 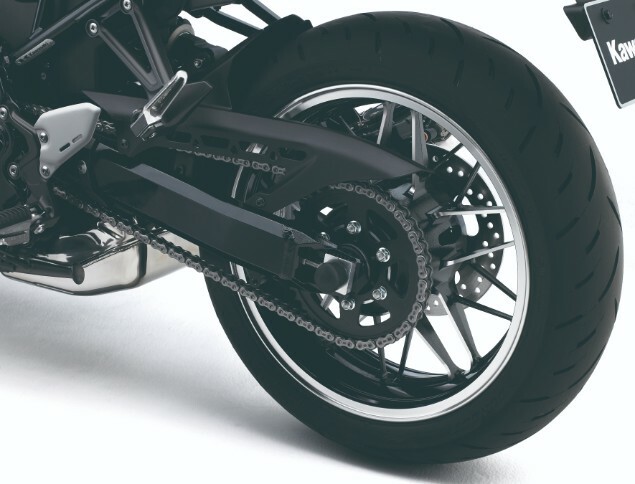 You get fully-adjustable inverted forks, a monoshock with adjustable spring preload and rebound and a pair of radial four-piston brake calipers, all backed up with ABS, traction control and 17-inch wheels with modern rubber. And it works brilliantly, delivering a ride quality that is not only excellent in terms of comfort and compliance, but also surprisingly sporty. You can throw the RS into bends, grab the stoppers hard and ride it with real enthusiasm if you want and it happily meets the challenge. But by the same token you can just relax and enjoy the plush suspension and smooth ride quality if you aren’t in the mood to play. It’s a real do-anything bike, which is a major plus point in its favour. Visually, with the Z900RS Kawasaki has absolutely hit the ball out of the park as it looks stunning, especially in the more retro paint schemes. It’s a touch irritating that you have to pay a £200 premium for metallic green/ebony and £300 extra for the orange/brown paint over the stock black colour, but Triumph and Ducati also charge extra for some paint schemes so it’s a sign of the times. However, as pleasing as it is to look at, what really makes the Z900RS unique is the way it performs. This is a modern retro that is just so reassuring to ride, so balanced and easy-going when required yet also fast if the need arises. It is an absolute pleasure to take to the UK’s roads on, whatever the weather, which isn’t something you can necessarily say about some of its rivals. Finally, a Japanese manufacturer has cracked the retro puzzle. Great job Kawasaki.